I really like the new background stamp Vine Background from BasicGrey /Hero Arts. 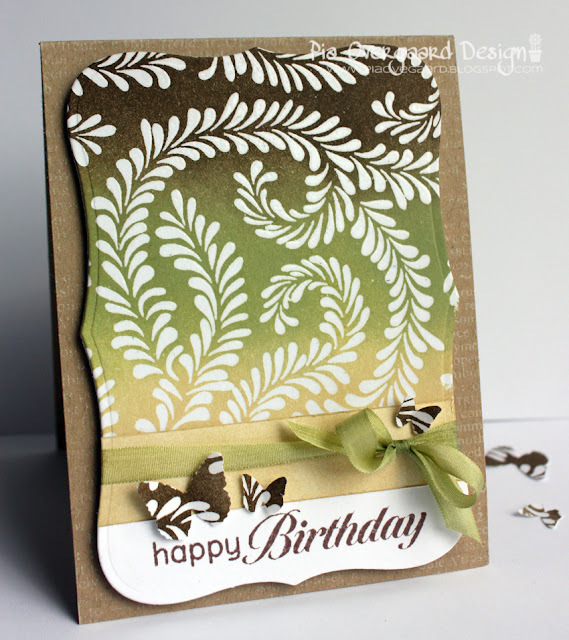 Here I've used it on a card with some of my favorite colors - browns & greens - resisting the clear embossed vines on white cardstock. You can never stock too many birthdays cards, huh? 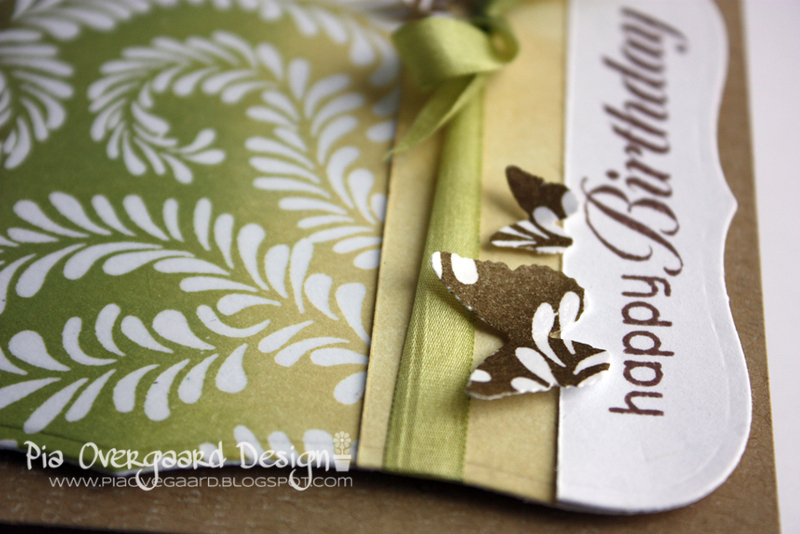 Stamps: Basic Grey/Hero Arts Vine Background CG360, Hero Arts Find Joy CL497, Hero Arts Friend Definition. Inks: Distress inks bundled sage, walnut stain, antique linen, memento rich cocoa, memories dye ink white. Other; May arts silk ribbon (dyed with bundled sage), MS 3-1 butterfly punch, Spellbinders label 8, embossing powder. Så lækkert et kort og jeg er vild med måden de flotte farver skifter over i hinanden. Thats a stunning card! looks like I have fallen in love with this HA background! This card is so beautiful Pia! The colours really caught my eye, I will have to try them out myself! Love the matching butterflies! 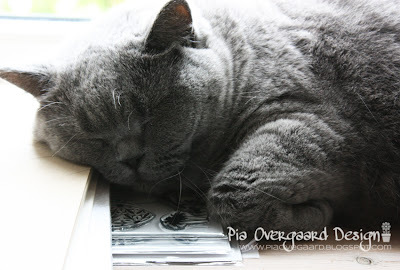 Your resist is absolutely gorgeous, Pia! Love the colors. ÅH, Pia hvor er det et smukt kort. Hvor ser det godt ud med farvescalaen der bare flyder ind i hinanden. Dejligt billed af Fiona. Man bliver glad af at have dyr.